The almighty The Rolling Stones were playing at the Ernst Happel Stadion in Vienna in front of 55 000 fans. 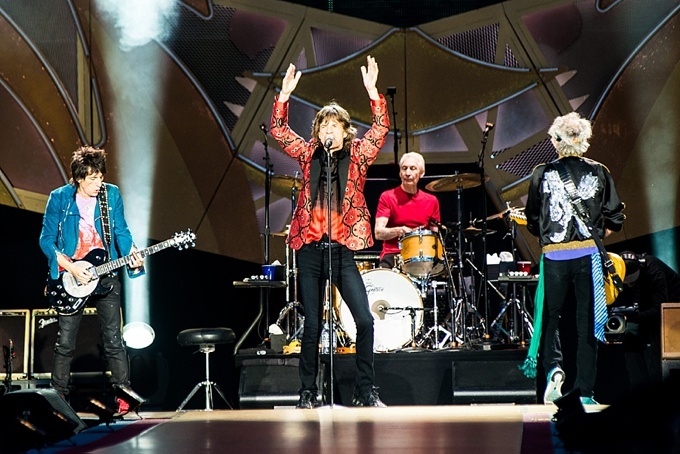 The Stones earned 8 Million Euros for the show and the building of their “14 on fire tour” stage took 6 days. See my photos of this spectacular event here. It was a massively exciting gig to take pictures of. Firstly, I had the fantastic opportunity to shoot one of the best Rock Bands of all time. Secondly, the concert coverage was for the German version of The Rolling Stone Magazine. I guess that´s a combination that can´t be beaten! The conditions at The Rolling Stones concert were the hardest I have ever faced as a concert photographer. I was allowed to stand beside the catwalk where Mick Jagger and Keith Richards were to walk, close to their fans. 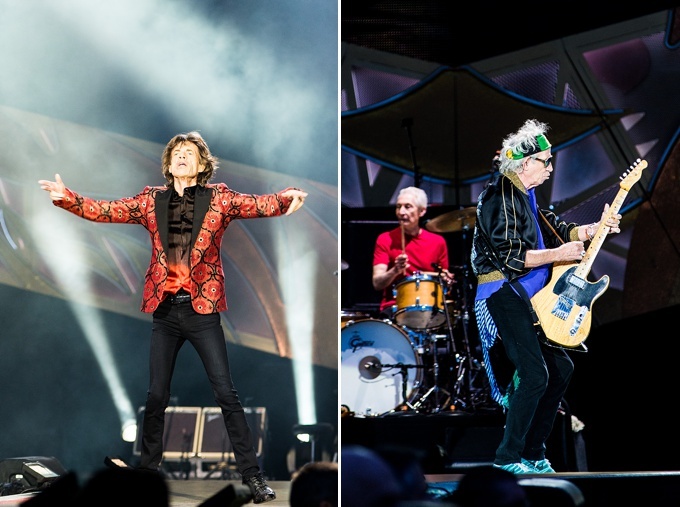 Unfortunately, I only got to shoot the first 2 songs to shoot and Jagger and Co. stayed on the main stage. The main platform was about 25m away, so I was glad I was prepared and had a big tele lens with me. I rented the Nikon 500mm f4 from the great guys at the NPS team here in Vienna. Let me say this: the 500mm f4 is a brick of a lens and with a price tag of $8399 you´d better not drop it! As everything was a bit stressful as we entered the photopit I left my monopod at the entrance and handheld this beast of a lens. After the first song it felt like I´d gone through a good workout at the gym! However, the hassle with the lens was totally worth it. The aperture of f4 was still enough for my D800 on ISO 1600 to get some awesome shots. I also used my Nikon 80-200mm f2.8 to get some wider shots of the concert. Do you also want to take pictures of the Rolling Stones? “YES! But how should I start?” you might ask. Well, as I also started my career as a concert photographer from scratch, I know all the struggles you´ll go through, which is why I started my Blog. I want you to succeed as a concert photographer and I want to give you the opportunity to live your passion. If you love concert photography as much as I do then the following blog post will help you to get started: 10 tips to become a rockstar photographer! What you you think of my Rolling Stones pictures? Do you think they capture the Rock `N`Roll spirit of the Stones? Leave a comment below.